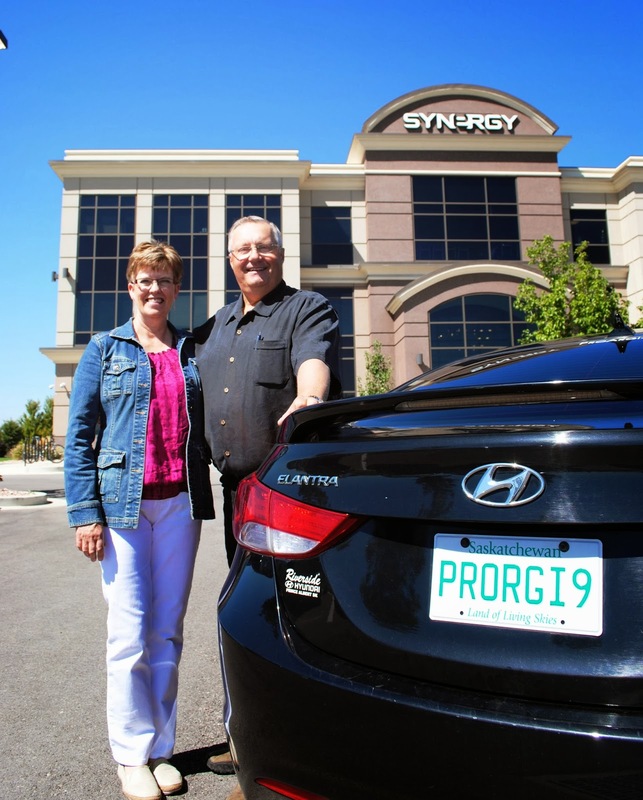 Mylo and his wife Rhonda touring Synergy HQ. If you aren’t familiar with the name “Mylo Berstad” then you should take a look at November’s Recognition Report. There you’ll see his name listed as Synergy’s newest Team Manager. You’ll also see that he was the month’s Top Recruiter, as well as the ever-important Top Team Builder. And as if that wasn’t impressive enough, check the Top 50 Leaderboards to see his name listed as one of the year’s top 5 point earners. The fact is, Mylo Berstad of Canada is up to something good. He’s serious about our product line after experiencing dramatic health increases resulting from ProArgi-9+ (you can read more about that in our first interview with Mylo here). He’s serious about building a business and has seen the MegaMatch compensation plan steadily grow the numbers on each of his commission checks. He’s serious about helping people, financially and physically, and he’s making smart decisions to do so effectively. “I have very good people in my downline. They have the same goal that I do: to move ahead from month to month. I encourage them not to dwell on obstacles. Go out and sell more and forget about those speed bumps. Before they know it, they have completely forgotten about the hurdles and they see their next check arrive. Nothing motivates a salesman like a bonus or a future ‘dangling-carrot’ to go for. I have encouraged my downline to go to trade fairs. I love trade fairs because you have lots of people to talk to. The people don’t feel as scared because they know they can walk away, but they give us time to talk about a great product (ProArgi-9+) and they get interested. We show them some charts and explain how it has helped a lot of people. Your own testimonials are the best, or you can always talk about other people’s experiences until you have your own.